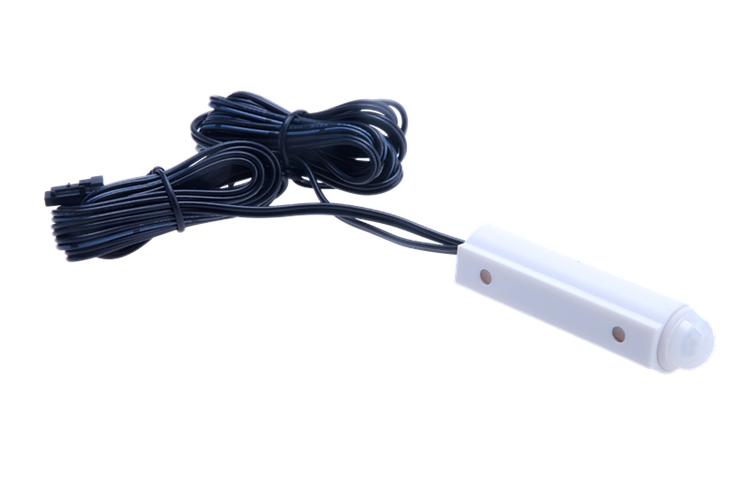 Led light ir dimmable sensor switch is new designed switch . 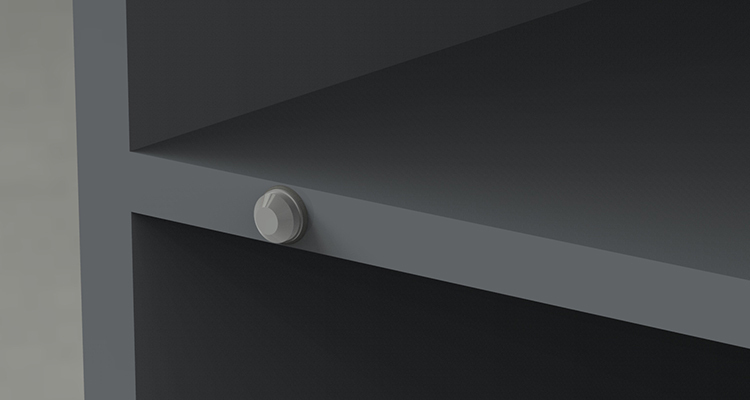 It triggered by human body heat , so when you go approach to the switch , the sensor start to work; when you leave beyond the sensor distance, the sensor will turn off after 30s automatically. Led light ir dimmable sensor switch can be used in many furniture decoration , such as kitchen, wardrobe, garderobe, drawer, cabinet, showcase and so on. 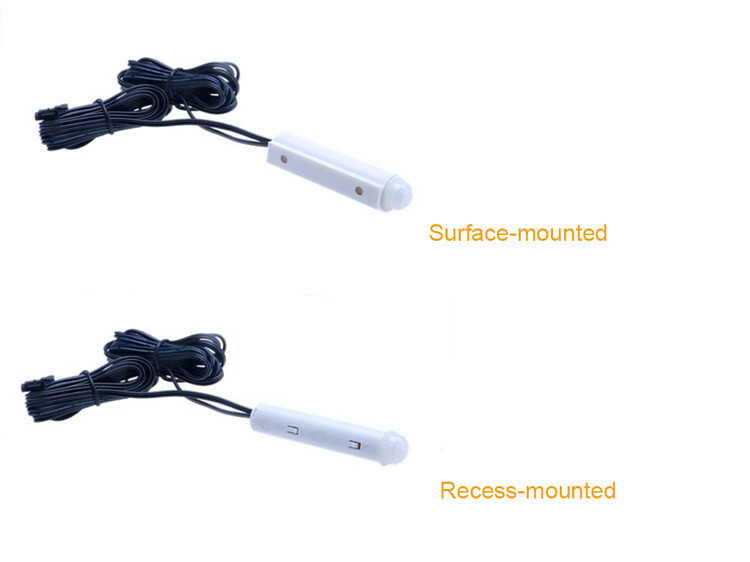 Led light ir dimmable sensor switch has two installation ways for you to choose: surface-mounting , recess-mounted. 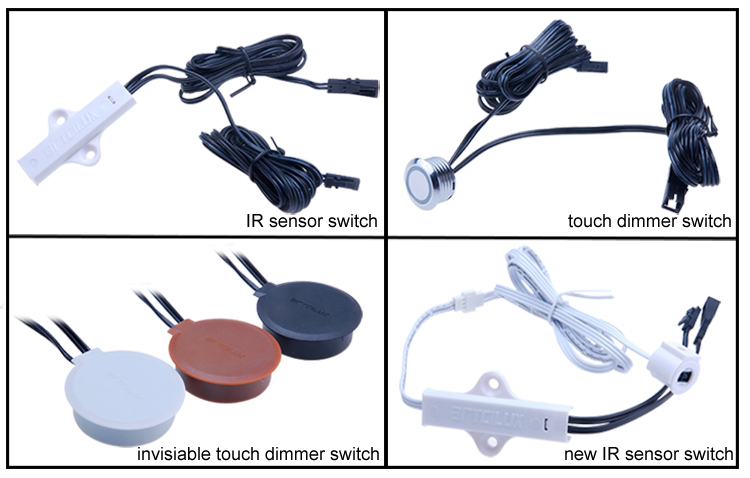 Door trigger sensor/ Hand shaking sensor/Proximity sensor/Touch dimmer/Touch sensor/Hidden touch sensor switches,etc. 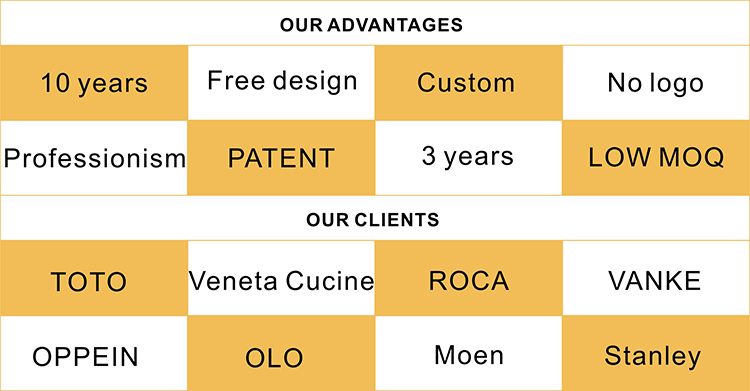 Why you need choose us ? but also we have our own designer team to help you customize your goods as you need. Most importantly, we have many cooperative partners who are famous in cabinet light field. Artcilux are specializing in producing LED cabinet light and sensor switches for more than 10 years. We have rich experience on furniture lighting fields, we are not only selling led lights ,but also offering perfect light solutions. 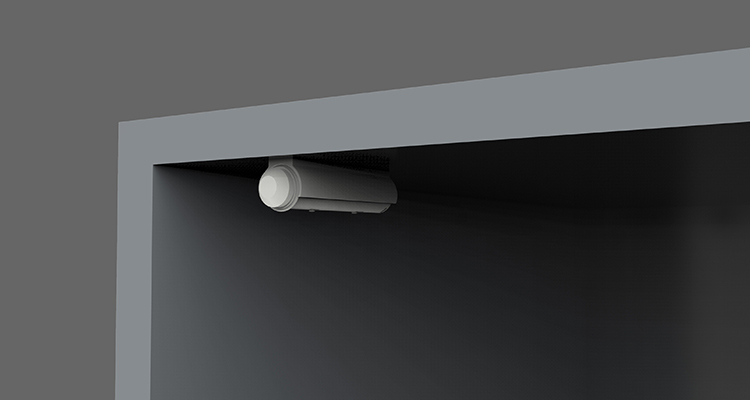 Q1.Why we need motion sensor switch ? you just need to remember the distance of your switch and get approch to it. Most importantly, it can save energy and it's economic. Q2.What's the time delay of this switch? It's about 30s after you left the switch or beyond the sensor distance. The normal color is white ,if you have big quantity we can do it specially for you! Q4.How does it work ? When you get closer , the switch start to work and the light on. 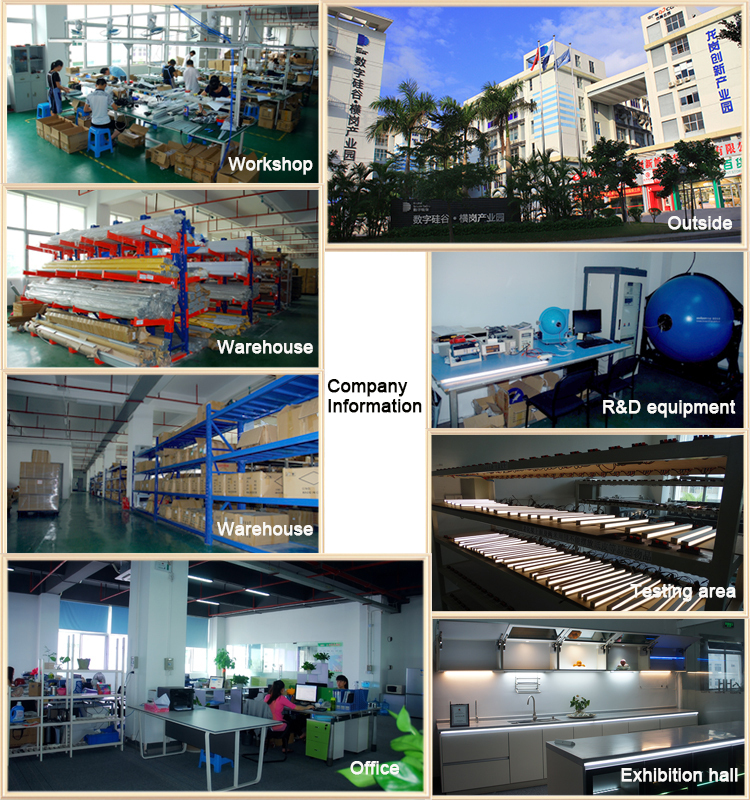 Shenzhen Shenchuan Technology Co., Ltd.